Stacy Allen Plummer, 68, of Pittsboro, NC peacefully passed away at his home on Tuesday, July 3rd, 2018. Stacy was born on February 23rd, 1950 to the late Paul Morris, Sr. and Dixie Mae Plummer. He is survived by his wife of 15 years, Ann Lamm Plummer; his three sons, Shannon Plummer (Nikki) of Pittsboro, NC, Gabe Plummer (Pam) of Morrisville, NC, and Joshua Plummer of Nashville, TN; daughter, Crystal Mace (Jason) of Raleigh, NC; six grandchildren, Alex and Noah Plummer, Kennedy Crawford, Kailyn Plummer, Holden and Savannah Mace. As the oldest, he is also survived by his seven siblings, Carol Gottlieb (David), Miriam Apple (David), Paul Plummer (Phyllis), Betsi Harris (Geoff Taber), David Plummer (Barbara), Michael Plummer (Tracey) and Jakki Plummer; as well as many nieces, nephews, family and friends. Stacy fell in love with the restaurant business as a teenager, working at the Burger Chef in Chapel Hill. He went on to own several restaurants throughout his lifetime, including four in Chatham County; the last of which was Crossroads Grill in Siler City. He also was a real estate broker in his later years. 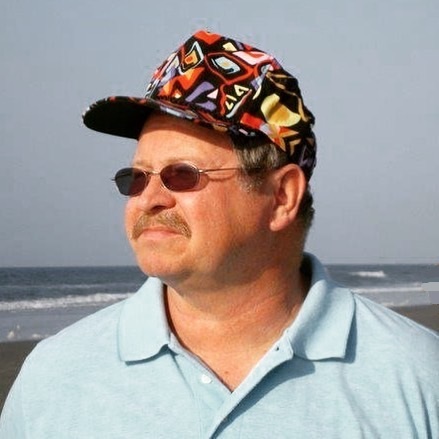 A lover of beach music, he frequently attended SOS, Carolina Beach Music Awards at North Myrtle Beach, Shag Socials and was known by many in the shag/beach music community. He loved beach music so much that he worked with his dear friend Jim Quick to co-write the song “Up To No Good”, which he loved to play for everyone he met. Stacy married Ann Plummer on May 25th 2003. He was a remarkable husband, father, papa/pops, brother, and friend who cared for everyone he met. He spent most of his time listening to beach music, spending time with his grandchildren, and shagging away on Ocean Drive. Stacy’s kindness, caring, and loving personality was endearing to all who knew him. Visitation will be at Donaldson’s Funeral Home at 396 West St in Pittsboro on Friday, July 6th from 6-8pm. The funeral service will take place on Saturday, July 7th, 11am at New Salem Baptist Church at 5030 Old Graham Road, Pittsboro, NC 27312. In lieu of flowers, please consider memorials in Stacy Plummer’s memory to New Salem Baptist Church.